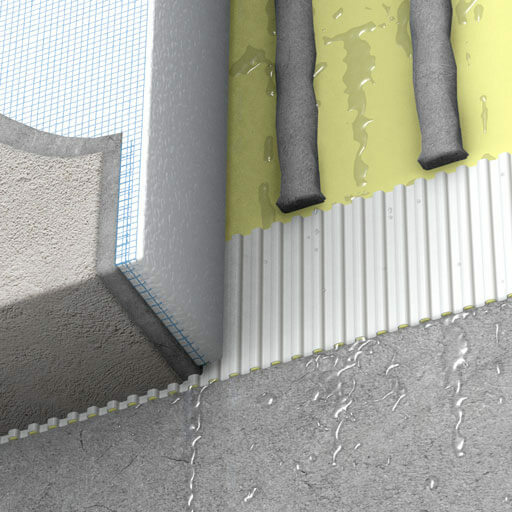 A 1/8" gap created by the drainage strip keeps Dryvit and other EIFS assemblies dry. Corrugated Lath Strip™ ensures a 1/8" gap for drainage in water-managed EIFS walls. Corrugated Lath Strip prevents the accidentally sealing off the drainage gap, ensuring that your high-performance walls stay dry and healthy. Available in black and translucent white. 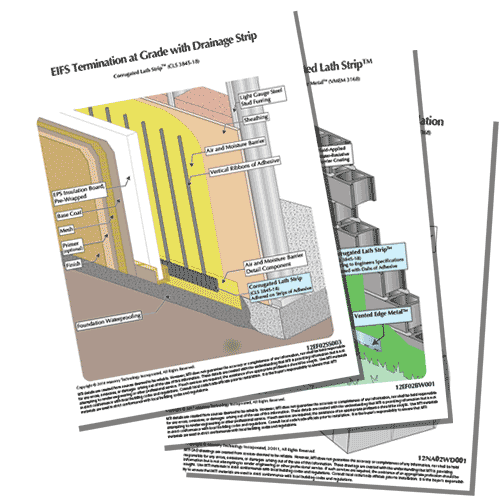 Can I use Corrugated Lath Strip with Warrantied EIFS Assemblies? Do I need to notch the foam insulation to fit the Corrugated Lath Strip? No. The Corrugated Lath Strip maintains a 1/8" drainage gap, which is the minimum to ensure a capillary break. The adhesive or fastener patterns need to maintain this same gap throughout the wall in order to be a drainable EIFS assembly. Using Corrugated Lath Strip ensures the minimum drainage gap while keeping the foam panels in plane. How is Corrugated Lath Strip Installed? Install at terminations, window and door heads, with dime-sized dabs of construction adhesive or staples/nails every 2 ft.